I'm super thrilled to have been invited to attend an exciting event in Hong Kong. 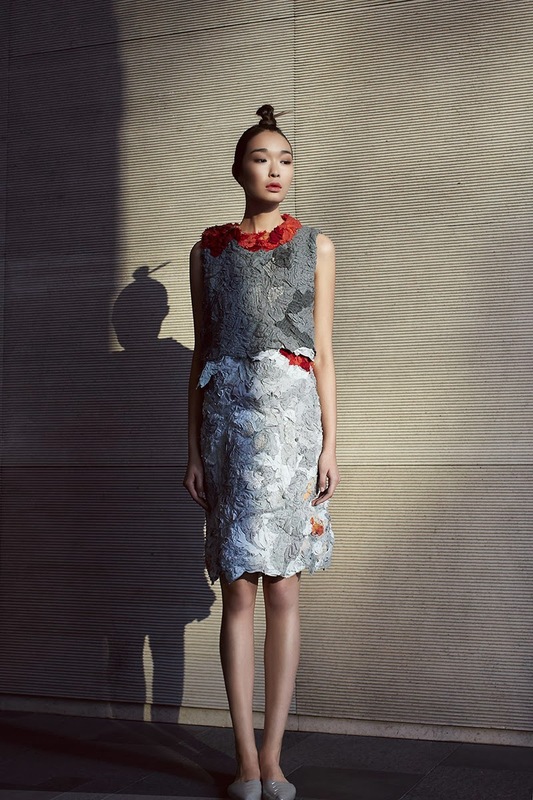 It's the Grand Final of the Eco Chic Design Awards for 2013 taking place this coming week during Hong Kong Fashion Week. There are a number of organizers involved, one of which is Redress. Along the way, she collaborated with bloggers, stylists and designers to give new ideas for how to breathe new life into second hand clothes. She also hosted a few pop-up events to sell some of the clothes she'd been featuring over the course of last year's challenge. She invited me to her pop up event and I snagged some pieces that have become favorites in my wardrobe (read more here). This year, she's promoting a new 365 Challenge in which she sets a theme each month and encourages others to take part in her challenge to 'redress it, don't bin it.' This month's challenge is the LBD (more on this later). The Eco Chic Design Award is a sustainable fashion design competition which challenges emerging fashion designers across Asia and Europe to create mainstream clothing with minimal textile waste. I just love this idea. It's feel good fashion at it's best. I can't wait to share my experience at this show with you.